In my heydays of childhood, apart from making me digest the yucky bitter-gourd and the glasses of bournvita-bathed milk, my mother used to make me absorb some sensible quotes and recitations in the corners of my brain too. One such thought was – “The earth does not belong to us, we belong to earth.” We are guests here, it welcomes us, departs us and then welcomes our successors. It goes on like that. But the rolling cycles of ages made me realize that only within the moment of time represented by the present century has one species – human – acquired significant power to alter the nature of his world. Yes, it is we, the mankind, which has been given the paramount duty to preserve the God’s most comprehensive creation – the planet Earth. And we do it in two ways – either to preserve the nature in its purest, indigenous form without any single alteration, or to modify it by fostering our talent to create our own synonym of the same nature. Which then made me think that which version of the nature is more alluring – the Man-made or the God-made? Is the color green influential and parallel when we take in account both the places? A pretty puzzling quest I must say. 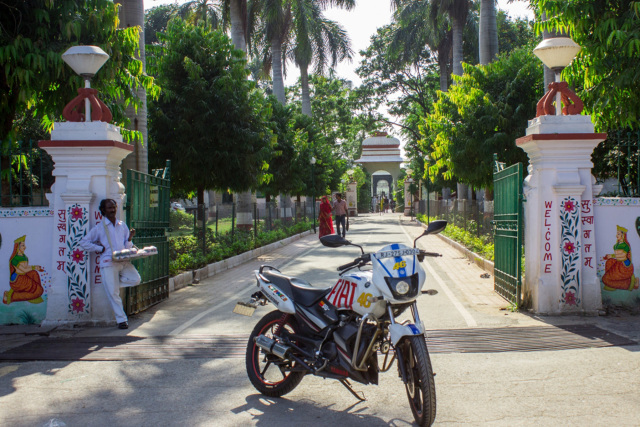 I tried to find an answer to this confusion in my own way – zipping up my riding gear, picking up the keys of a motorcycle and kick it off to play with it. And to add up the zest of companionship at pillion, I had my friend Aman with me as well. We started our run for the oblivion first with the man-made adaptation of the psyche of nature in Udaipur, Sahelion ki Baadi. 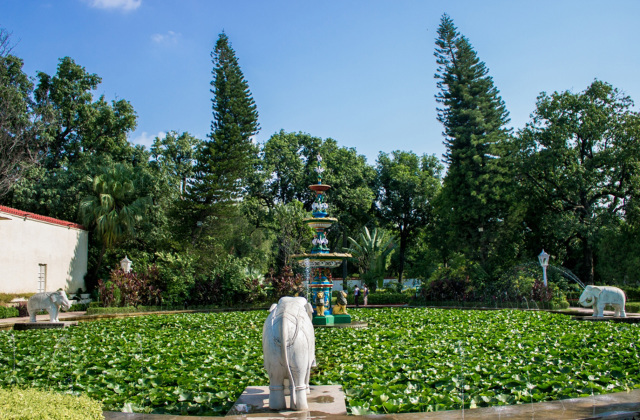 Legacy says that this beautiful park flooded in color green and decorated by the sprinkles of water was made by Maharana Sangram Singh in 18th century for his queen and her 48 woman acquaintances (sevikayein) which accompanied her as her dowry. ‘His highness’ created this window to the world of natural beauty to make them feel relaxing out of the rather complex windows of the gargantuan court rooms, hence the name this place got which means ‘Garden of maids’. And oh boy, what a gem of window is this! The park is beautifully adorned with the green grass and colorful flowerbeds and you will enjoy getting indulged in counting the innumerable sprinklers or mini-fountains. The exquisite water pools, tastefully created marble elephants and kiosks and the subtle marble flooring and pavilions, all amplify out the architectural bells and whistles. This made me adore the zenith – To what extent can the imaginations of a human mind and soul combine up to produce such a sublime stature of nature! Sure I have been to this place for infinite times, but this time around, I found this place to be too refreshing and new, considering I was here after whole 7 years. So the faded memories obviously sparkled back to life. While my popped up eyeballs were busy capturing the panaromic view of this captivating place in the hard disk of my soft memory, they scrolled over my bike at the parking lot as well. It began to prompt up my curiosity – if humans can carve out such a charismatic framework out of their brains, then how powerful can be the Almighty God’s creation! The soul of petrol in fuel tank then began to ask mine – shall we kick in then? And what mine responded – Hell yeah, indeed! 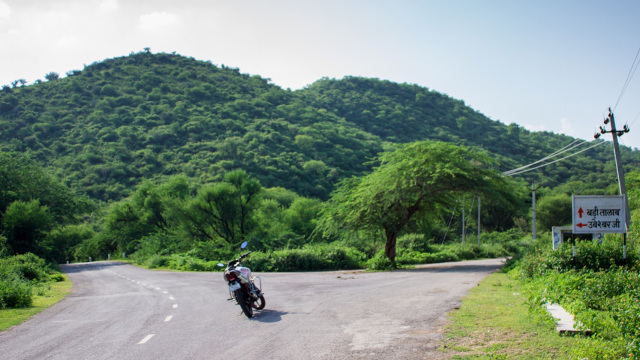 After clicking some nice shots, I and Aman decided to begin our ride towards possibly the best untouched creation of God in Udaipur, Peepliyaji Valley. 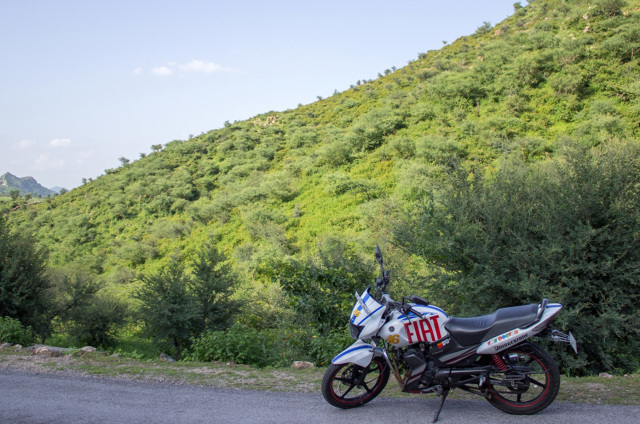 According to the route proposed, the distance was 32 kms, which was long enough to make up our evening filled with scenic pitstops and plethora of fun. So, quickly, we prodded the ‘self starter’. Luckily for us, the in-city traffic was not that weary as that of say, Bapu Bazar or Jagdish Chawk, while passing through Mallatalai and Radaji Chauraha. Then, came the small archaic colony of Rampura Chauraha, which acted as the gates to our ode to nirvana. And we consider ourselves blessed that at this place, we witnessed the exciting street drama by the local artists, which in local language, we call “Gawri”. The art portrayed by the villagers through the fascinating characters was cheerful enough to fuel up our zeal for the ride further. With the passing of digits on odometer of my bike, what we began to witness were the countryside narrow roads surrounded by prolific trees and grasslands. 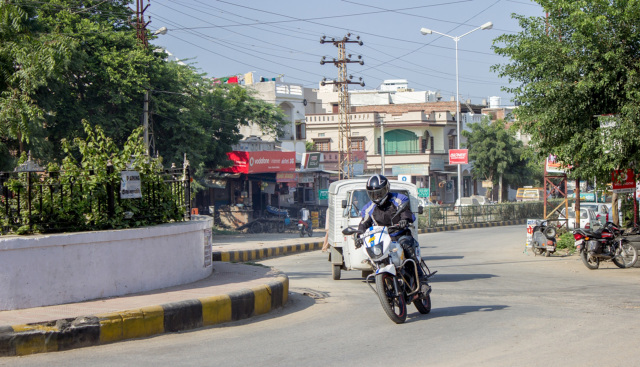 The roads are full of twisties, which ignited me to do some serious ‘knee downs’ on those corner sections, but since I had Aman on the pillion seat, those were a big no-no. 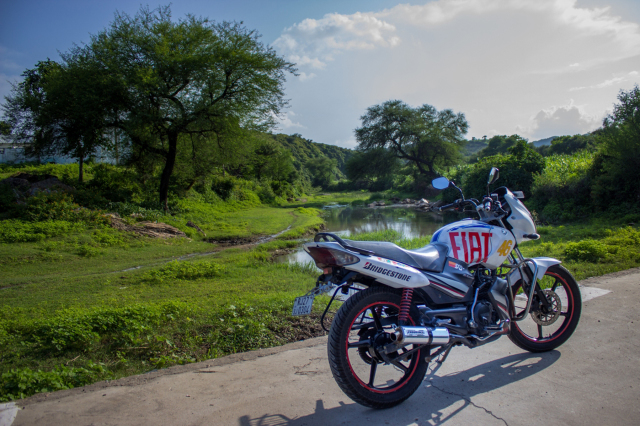 After crossing those numerous twisties, came water canals flowing besides the road and some hilly sections. 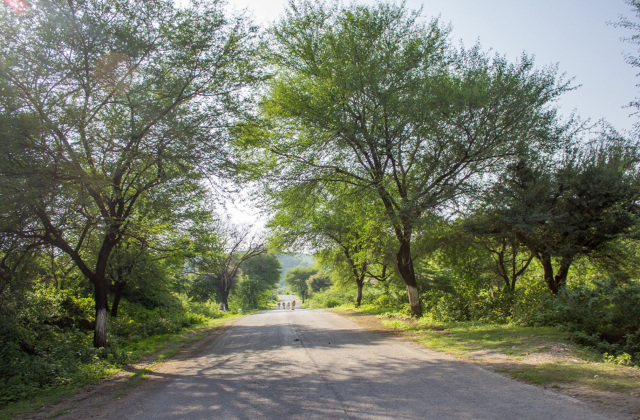 Needless to say, it made for some pleasing digital shots which Aman captured on his Canon EOS 600D. Then, we decided to head off to our next pitstop at Ubeshwar ji, which was roughly 6 kms before our final destination. 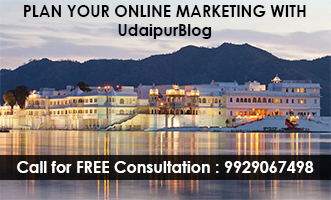 But what came before Ubeshwarji were the interior village areas and some intimidating ghat sections, which presented us one of the most photogenic elevated views of Udaipur. 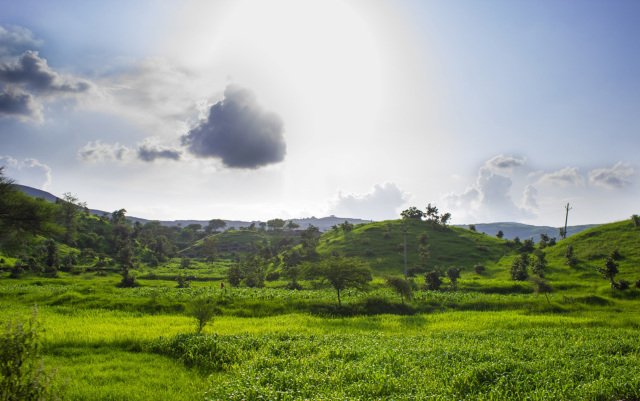 The convoy of hills in a disciplined line were in a perfect symphony with the rich green meadows, which made me feel that how graciously God did his homework while creating Pipliyaji. After performing the rituals of photo-sessions, we pursued our ride back and reached the pitstop of Ubeshwarji, which is just 2-3 kms from the point where the aerial ghat sections end. 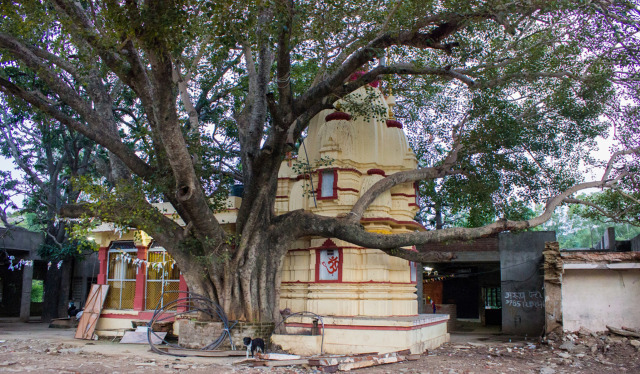 Ubeshwar Ji, or Ubeshwar Mahadev Temple – a temple of Lord Shiva. 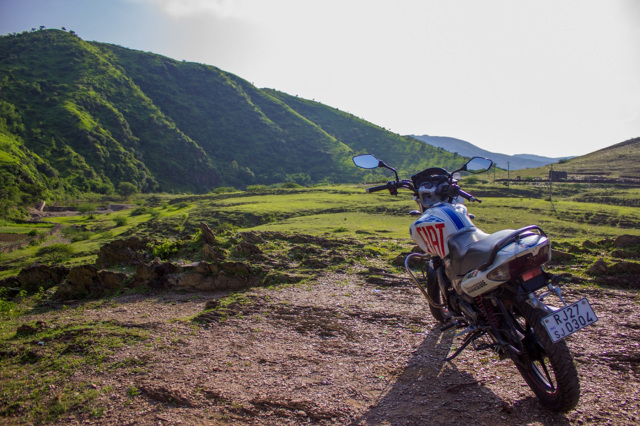 After seeking the blessings of Mahadev, we savored what is said to be a biker’s favorite beverage – Tea time it was! The ‘chaiwala’ at his thadi outside the temple was kind enough to make us quench our thirst, which along with a packet of Parle-G was an absolute bliss to say the least. 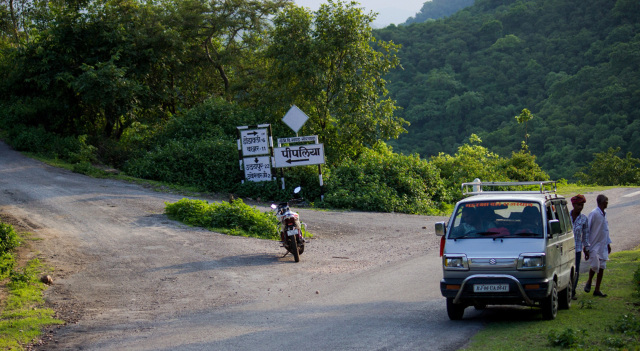 The cutting chai was energizing enough to brace ourselves for the final leg – Pipliyaji. This was the leg of our drive which I can easily call a ‘tranquil territory’. The aura and silence of the roads to Pipliyaji are mesmerizing enough to make you forget all the huffs-and-puffs of your hectic college assignments or business targets in your daily city life. The curvaceous roads and green roadsides with absolutely no traffic make you feel that wish you had the superpower of piling up the bank accounts, sign off the resignation letter, build a treehouse and farm there for the rest of your life. That’s the ambience of the route. 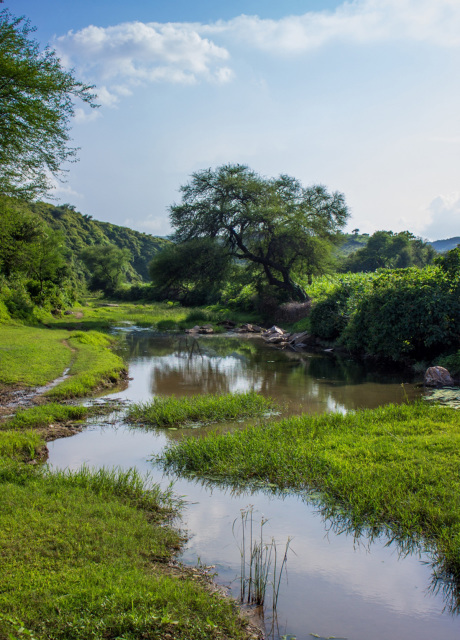 The meandering roads towards our final destination gives a serene valley view, which is at its best during light drizzle of monsoons, as you will love the marvelous company of the clouds at such a height. And then came our final point, our destination. 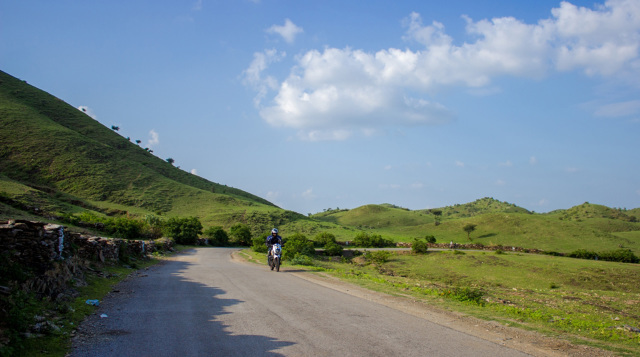 Though the hilly roads head straight to the remote village of Pipliyaji, but what was of our concern was the deep valley which is a view of the other side of the Udaipur less traversed. 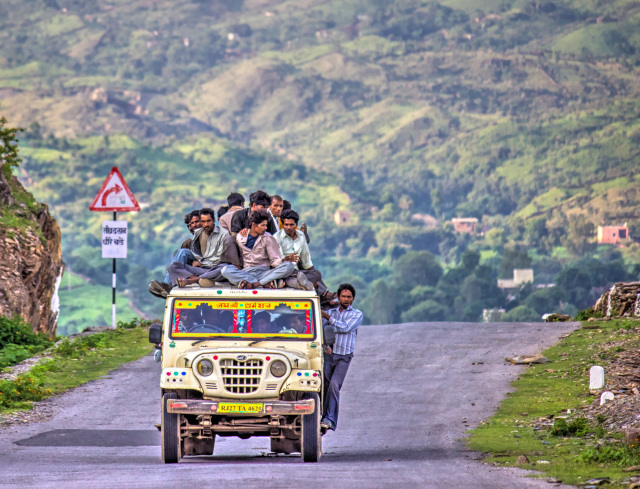 There is a small deviation in right while on the road to the village area, which leads you to a rocky plain. I parked up my bike there, switched off the ignition and was lost in the serenity of this place. 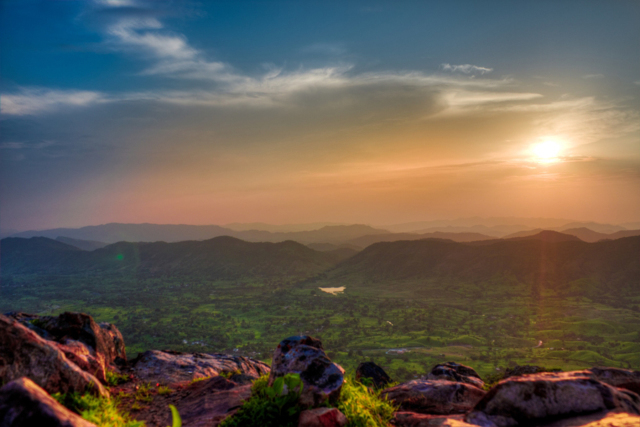 Everything, from the setting sun and it’s light falling over the Aravallis, the bird’s eye view of the villages beneath the valley, the dense green forests and your screams echoing back to you by the hills, are purely mystical. The duration of 30 minutes I spent here just gazing the valley view and breathing in the pure oxygen of that place made me feel how eloquent God’s magic wand can be. But then it was the time of signing the cheque of decision, and I was still bewildered – which seems to be more adorable – the man-made brilliant art at Saheliyon ki Baari or the God-made nascent creation of Pipliyaji. But then something clicked my mind, that humans too are creation of God. And this fact, my friends, was influential enough to seal up the debate. Amen! 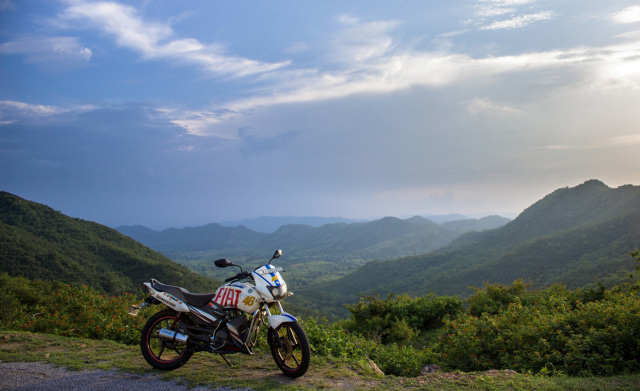 Graduated in Automobile Engineering and working as a motoring correspondent at Gaadi.com, Jeo George is an automobile passionate, who breathes bikes and traveling. He also loves photography, listening to music, playing piano, cooking, badminton & sketching. 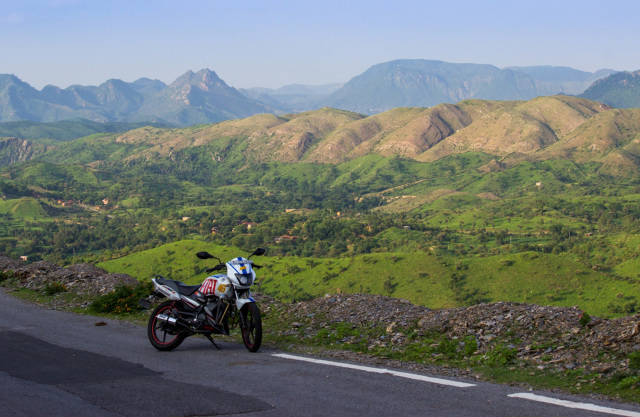 His ultimate fantasy is to do a trans-India trip on a Royal Enfield Thunderbird 500! Really awesomee …….the pictures and the description of whole journey is fantastic .Especially peepliyaji pics and description is mesmerising………………..